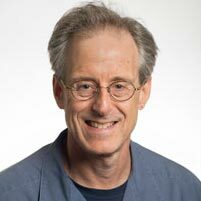 Carnegie Mellon University has appointed Robert E. Kass interim co-director of the Center of the Neural Basis of Cognition (CNBC). Kass, professor of statistics and machine learning, is one of the world’s foremost experts on using statistics in neuroscience, a key component of CMU’s approach to brain research. Kass succeeds Marlene Behrmann, the George A. and Helen Dunham Cowan Professor of Cognitive Neuroscience, who has stepped down to focus on her research. The CNBC is a joint project between Carnegie Mellon and the University of Pittsburgh that was founded 21 years ago to investigate the neural mechanisms that give rise to human cognitive abilities. The center integrates Pitt’s strengths in basic and clinical neuroscience with CMU’s strengths in psychology, computer science, biological sciences, engineering and statistics, and sponsors an interdisciplinary graduate training program. "Rob Kass will be an excellent co-director for the CNBC. He has become a well-known leader in the application of statistical methods to neuroscientific data, and has strong ties to the University of Pittsburgh. He lives interdisciplinary science, and has informally already been a leader in the CNBC for many years. I am very excited that he has agreed to be an interim co-director of the CNBC," said Richard Scheines, dean of the Dietrich College of Humanities and Social Sciences, which administers the CNBC for CMU. Kass joined CMU’s Department of Statistics faculty in 1981 and served as department head from 1995-2004, where he worked to sustain top-rated undergraduate and graduate programs as well as move them into the data-driven 21st century. His early work focused on the geometrical foundations of statistics and on Bayesian inference. In the late 1990s, he shifted his focus to neuroscience because of the field’s need of statistical thinking in areas ranging from clinical trials to brain imaging to understanding neuronal firing patterns. He has been a member of the CNBC since 1997. He also joined the School of Computer Science’s Machine Learning Department in 2007 in an effort to maintain and encourage new connections between Machine Learning and the CNBC. He has helped expand CMU’s excellence in computational neuroscience through research, training grants and graduate student training. “Particularly in our era of Big Data, statistics has been playing an increasing role in the brain sciences. The CNBC has been a model of deeply cross-disciplinary research and training in neuroscience, while also being ahead of its time in embracing statistical and machine learning approaches. I am immensely grateful to the many CNBC faculty and students who have shared their knowledge, and their data, with me and my statistical colleagues and students, and I’m looking forward to doing whatever I can to help the CNBC tackle new challenges,” Kass said. He is the co-author of two influential books, “Geometrical Foundations of Asymptotic Inference” and “Analysis of Neural Data,” has edited seven books and authored more than 135 scholarly articles. According to the Institute for Scientific Information, he was the fourth most highly cited researcher in the mathematical sciences during the 10-year period of 1995-2005. Kass has served as chair of the Section for Bayesian Statistical Science of the American Statistical Association and of the Statistics Section of the American Association for the Advancement of Science. He was the founding editor-in-chief of the journal “Bayesian Analysis. He is an elected fellow of the American Statistical Association (ASA), the Institute of Mathematical Statistics and the American Association for the Advancement of Science. In 2014, ASA responded to the National Science Foundation and White House Office of Science and Technology Policy’s requests to detail the ways statisticians can contribute to the federal BRAIN Initiative by asking Kass to lead a working group. The working paper that Kass and his committee produced outlined how novel statistical methods were imperative to meeting the initiative’s goals of producing a sophisticated understanding of the link between brain and behavior and to uncover new ways to treat, prevent and cure brain disorders. As CMU co-director of the CNBC, Kass will work with Pitt’s CNBC co-director, Nathan Urban, to continue to make crucial brain research discoveries that impact people’s lives.